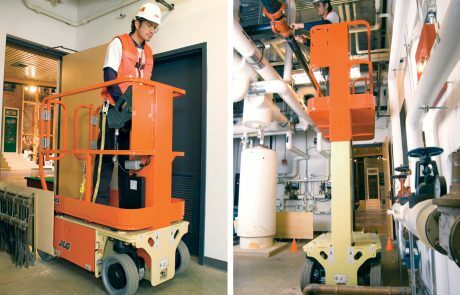 The 1230ES mast lift is compact enough to fit in a freight elevator and lightweight enough to be used on weight-sensitive floors. 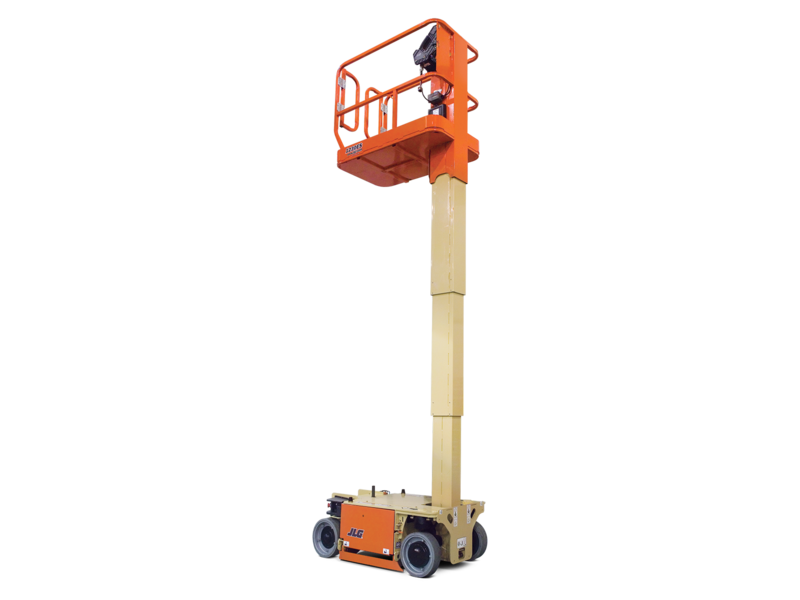 A platform height of 12 ft allows you to work comfortably at 16 ft. A super-efficient electric drive increases uptime—plus, it’s extremely low maintenance. 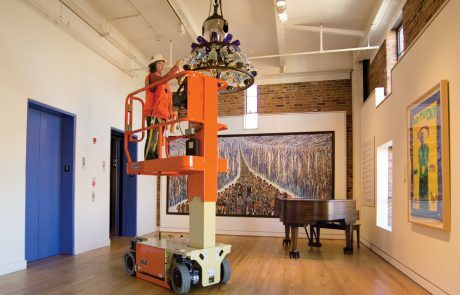 With innovative controls, maintenance-free components and automatic battery charging, JLG®driveable vertical mast lifts last longer and are more reliable than ever. All models run on electric power thanks to a reliable direct electric drive. They also offer ease of operation and greater maneuverability, letting you get maintenance jobs done quickly and efficiently.